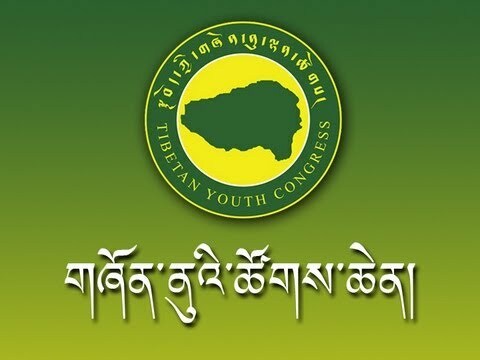 “The Tibetan Youth Congress (TYC) is a worldwide Organization of Tibetans united in our common struggle for the restoration of complete independence for the whole of Tibet, which includes the tradition three provinces of U-Tsang, Do-toe, and Do-med. 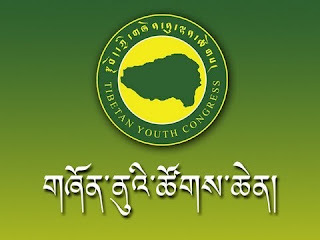 An independent Organization, with a written constitution and its own plans and programmes, TYC has emerged as the largest and most active non-governmental organization of Tibetans in exile. It has more than 30,000 members worldwide” - Tibetan Youth Congress Official Website. With the disintegration of eight highly-populated regional chapters in India and now its chapter in New York and New Jersey which has the largest concentration of Tibetans in North America, the claim of largest non-governmental organization of Tibetans in exile and having more than 30,000 members worldwide could be under serious question. With the breakdown of highly-populated chapters and general Tibetan’s growing distance from the Tibetan Youth Congress, the whole movement of Tibetan struggle is in disarray. Petty internal politics has taken over the important discourse of how to help and support Tibetans in Tibet. Though the TYC has seen difficult times in the past several years, it’s time to rebuilt the organization and its image in the Tibetan diaspora population. With the hope of working towards the rebuilding of TYC, this piece is written to explore three key challenges Tibetan Youth Congress face in the United States. Number 1 and 4 are contradictory. This contradiction has become a major hurdle in sustaining unity among its regional chapters. Some of these chapters have refused to part away from the status of “regional chapters” because they argue that the first aims and objectives allows them to support Middle Way Approach to resolve the issue of Tibet as per the guidance of His Holiness the Dalai Lama. The TYC may need to change or reword the first aims and objectives if they are to truly follow the path of total independence for Tibet. The Tibetan Youth Congress (the Centrex based in Dharamsala, India) has no legal authority or control over any of its regional chapters in the United States. For instance, Regional Tibetan Youth Congress of New York and New Jersey is a “separate legal entity” registered in the state of New York as a non-profit organization. Their legal entity name is Tibetan Youth Association Inc. When it is an incorporated organization, the legal authority of the organization lies with its current board of directors/members. Hence, the December 16 press release to temporarily close and hand over the assets to the four interim members may not hold any water at all. In other words, TYC has no control over the management or operation of its chapter in New York and New Jersey. This should be taken as a learning experience for TYC. In order to avoid similar ramifications in the future, TYC needs to immediately draft and pass a Chapter Charter or Affiliation Agreement with a parent organization in the United States. This chapter charter or affiliation agreement will help TYC to lawfully act in matters concerning it’s chapters in the coming future. As shared earlier, the Tibetans in general are keeping distance from the Tibetan Youth Congress. This is a huge blow to the work that TYC will initiate now or in the future. Without public support, no organization will survive for long. The support from general public may come and go. To make it come again, TYC should be more proactive in reaching out to general public. For instance, during the recent visit of TYC President and its executive member in New York, they met with the current RTYC executive members and former RTYC executive members. However, they failed to make a connection with the general public by completely ignoring the visit to address them. The public address was more important this time as the Tibetan people in New York and New Jersey have elected the current executive members of RTYC. As an organization, the TYC has an important role in the history of Tibetan struggle movement. Tibetans can not effort to lose Tibetan Youth Congress as it is not only symbolism of Tibetan resistance against the ongoing Chinese atrocities in Tibet but also has an organizational value that was built in the past couple of decades with sweat, blood and countless sacrifices. It will be a shame if the organization struggles to survive in the future due to a lack of public support. Moreover, the success of TYC is highly essential to informally and continuously compliment the work of the Central Tibetan Administration of Dharamsala, India.